‘I’ll be there for you.’ Our fantastic F.R.I.E.N.D.S proposal! “I’ll be there for you, when the rain starts to pour. We all know the words to the famous Rembrandts song, which is best known for being the theme tune of the TV Show F.R.I.E.N.D.S. However, we never thought that we’d be lucky enough to incorporate it into one of our events! 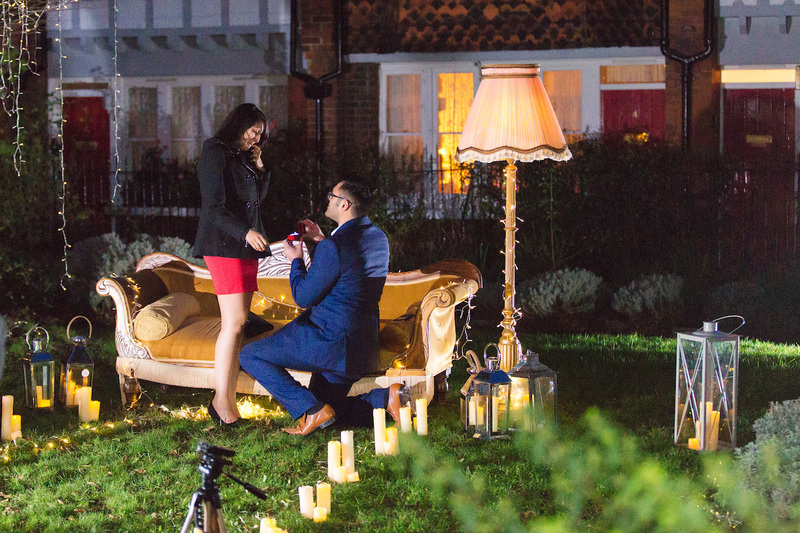 You cannot even imagine the excitement at The Proposers HQ when the lovely Mitesh came to us and said that he needed our help to create a bespoke F.R.I.E.N.D.S themed proposal for his beautiful girlfriend Anisha. Anisha’s favourite TV show is F.R.I.E.N.D.S so we knew that we had to make this proposal extra special for her. We decided that in order to make the proposal a day they’d never forget, we should hire some of our wonderful West End singers to play the theme tune for the couple, as Mitesh was proposing. And you can’t have a F.R.I.E.N.D.S themed proposal without the famous sofa and lamp that are seen in the opening credits of the show. So we set to work to find the perfect decorations for such an amazing occasion. Mitesh told us that he wanted to take Anisha for a romantic dinner at The Shard after the proposal, so he would need to propose in a location near to that. After a bit of digging we came across the Red Cross Gardens, a tranquil park in the centre of Southwark. 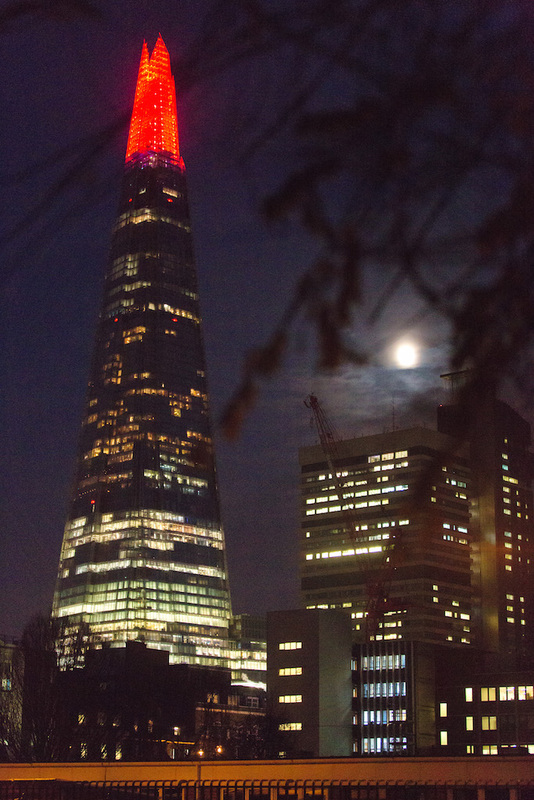 Not only is the garden absolutely stunning, but we couldn’t believe our luck when we found out that it actually overlooks The Shard! 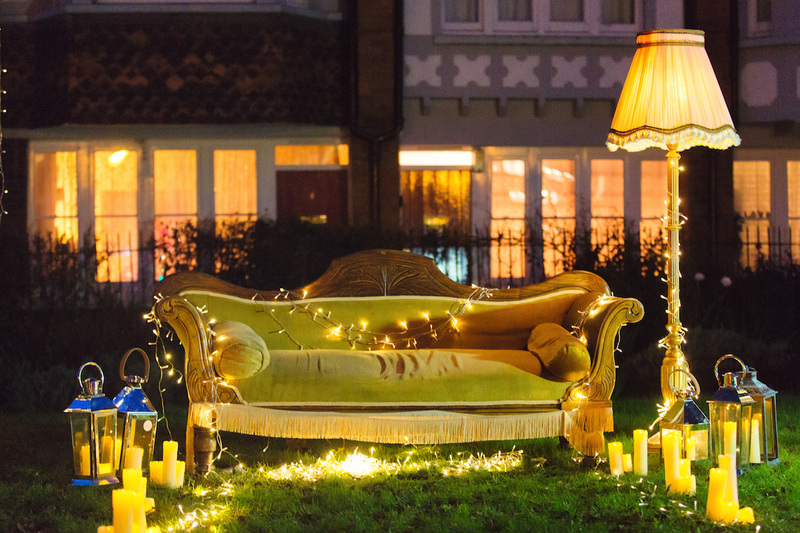 On the day of the proposal we went to the garden and completely transformed it with beautiful fairy lights, lanterns and of course the amazing furniture that we had hired. We made sure that the five singers we had hired to play, ‘I’ll Be There For You.’ were hiding so that Anisha wouldn’t spot them when she arrived. 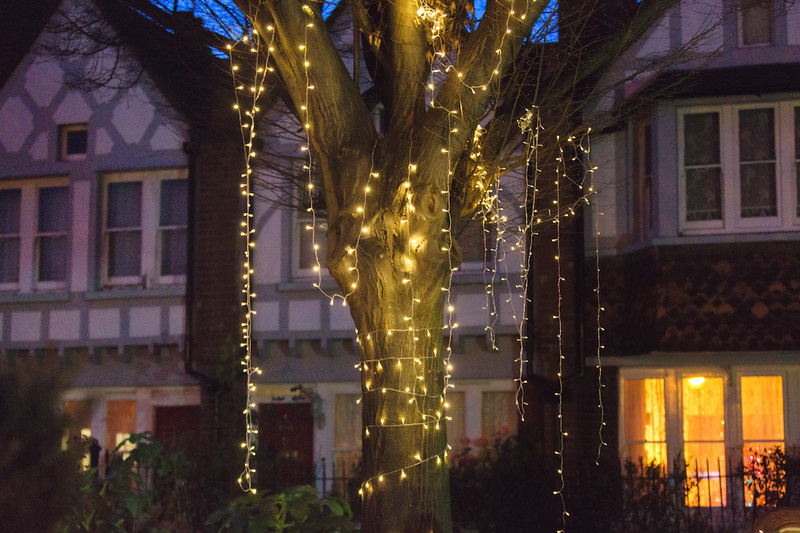 As the couple arrived at the garden, Anisha was completely shocked to see the beautiful scene in front of her. 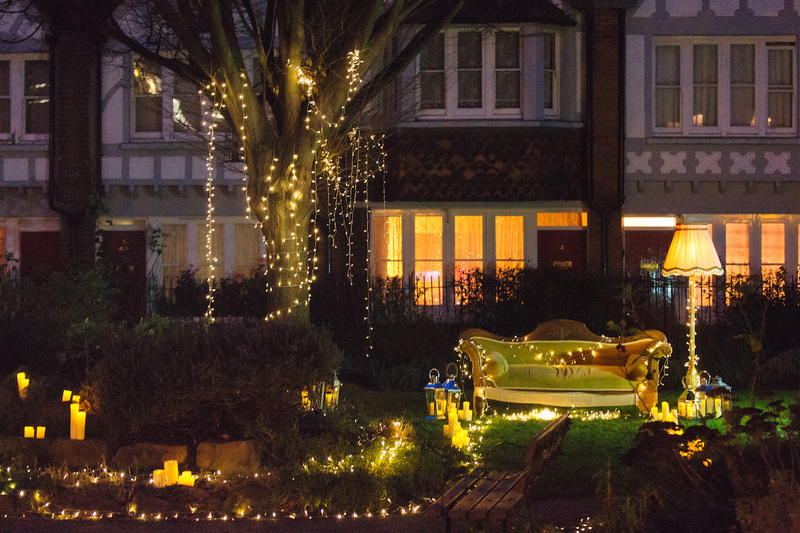 Her eyes welled up with tears as Mitesh lead her through the trail of lanterns and fairylights to sit on the sofa. After they sat down a familiar song began to play and one by one the singers came out of hiding to serenade the couple. As they got to the chorus Mitesh got down on one knee and asked Anisha to be his wife. The proposal was so romantic and absolutely stunning. Congratulations to the happy couple. We wish them all the best in the future. To take a closer look at our fantastic F.R.I.E.N.D.S proposal take a look here. If you have been inspired and would like help to plan your own amazing proposal for your partner please contact us at info@theproposers.co.uk. We’re professional proposal and romantic events planners, and we’ve arranged over 600 proposals with a 100% ‘Yes!’ success rate, so you’re in good hands with us! Check out our website for more amazing proposals, ideas, costs and tips http://theproposers.co.uk! If you’d like to buy a beautiful diamond ring please browse Purely Diamonds jewellery collection by clicking here.